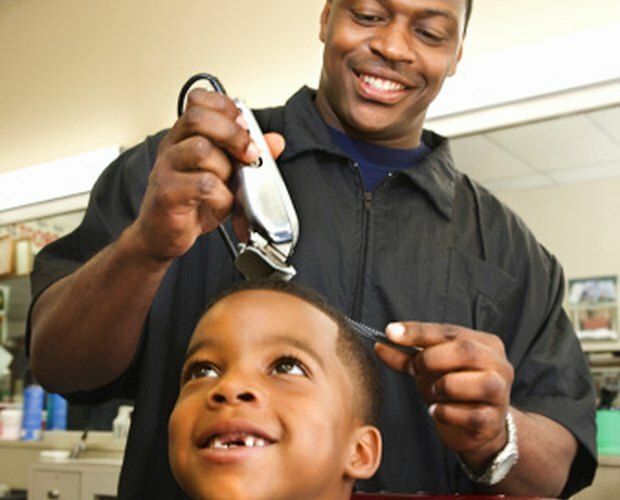 Classic barber-shop haircuts were almost always tapered. Modern clipper cuts seldom incorporate tapers, but any short cut can include them. 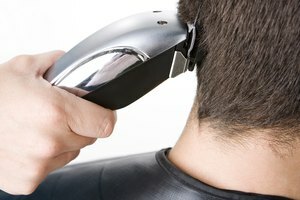 Ideal for men with thick, full hair on the sides or that guy who just wants to get an extra week or two out of his cut, tapers take the hair just above the ears and at the nape of the neck shorter. The result is a clean-cut style that hugs the head and stays neat looking much longer than non-tapered cuts. Choose a clipper guide two sizes shorter than the guard you used to cut the sides and back of the fade. The smaller the number, the closer the cut. Select a number 2 guard for a fade cut with a number 4 guard, a 1 for a 3 and so forth. For a fade cut with a number 2 guard, use no guard. Attach the chosen clipper guard to the clippers. Cut the bottom 1/2 inch of hair around the bottom hairline with the shorter clipper guard. Remove the guard and attach a guard to the clippers that is one size larger -- the middle size between the guard you used for the fade and the smallest guard you just used. Use this guard on the bottom inch of hair around the hairline. Check the tapers for blend. If you do not see any shelves, lines or cut-off points in the cut, you're done. Blend away lines by using the guard size that you used on the hair directly under the line. 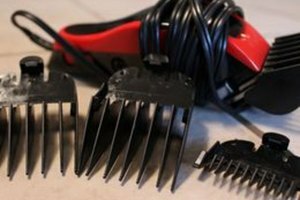 Extend the extension lever on the clippers and cut the hair along the line using short strokes. 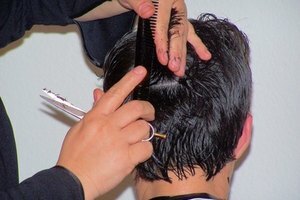 Do not cut into any other part of the hair. Take the hair off little by little. You can always go shorter if you prefer a closer cut. Tapers stay low on the head. 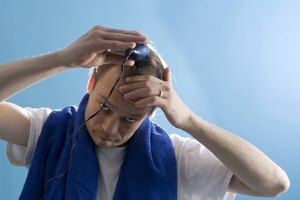 Do not cut up into the haircut more than 1 inch above the ears or nape hairline. Keep the fade line for the tapers even and no more than 1 inch above the hairline all the way around the head.